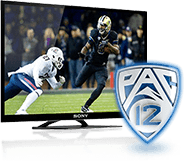 In many countries outside of the United States, Pac-12 Network, our primary channel, is available via YouTube International as a live 24-7 stream. To learn more about this service please visit Pac-12.com/pac-12-networks-international. For fans located in Canada, please visit DAZN.com for options to receive Pac-12 Networks.